Over the last few weeks, we’ve been on a quest to clear up once and for all exactly what thought leadership content is and how it relates to your business. Still, the best way to understand thought leadership content is to delve into some premium examples. Naturally, with so many companies positioning as thought leaders, some attempts are going to fall flat. Thought leadership represents an insight-driven, quality-focused approach to content that takes more time and effort than even the best regular blog content. Degreed is an education technology company that focuses on enhancing corporate learning to help businesses unlock their full potential. Not all enterprises recognize the power of learning, so Degreed takes charge with well-written, well-designed, yet concise white papers. One example is Four Ways to Make Learning a Strategic Advantage. Burning Glass is a for-profit enterprise that generates knowledge about labor and the job market. It stands toe-to-toe with trusted voices like the Bureau of Labor Statistics through its deep trove of fresh, formidable data. For its thought leadership content, it synthesizes all that raw info into job market analytics and reports like Saving the Associates of Arts Degree. Not all blog posts can qualify as thought leadership content, but GE has gone the extra mile building a site that’s intelligent, addictive, and suffused with its unique brand knowledge. Its Txchnologist microsite uses a simple, dynamic interface to present readers with dozens of truly informative pieces like Smart Pill Capsule Could Represent Future of Drug Delivery. Drew McLellan is a well-known name in the world of digital marketing who has pioneered a wide range of high-impact approaches to getting your message heard. His Build a Better Agency podcast is an example of structuring thought leadership content creatively in a way that appeals to the preferences and the needs of his audience – in this case, time-strapped agency leaders. Pipedrive is a sales CRM that embraces inbound marketing and sales. 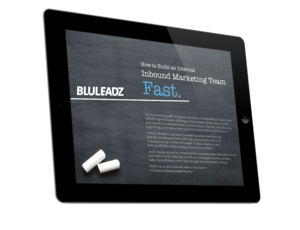 Because content marketing is a pillar of their brand, they work hard to educate leads and deliver value. Their instructive, long-form blog posts use quotes, visuals, and much more to tell the story while giving readers points they can use. For example, How to Get Your Sales Team to Adopt a Sales Process. Autodesk has long been known as one of the undisputed leaders of the Computer Aided Design (CAD) space. It even has its own museum, the Autodesk Gallery. To burnish its credentials in 3D design while opening new customer frontiers, it has developed its Redshift website as a sort of visual magazine packed with resources for potential customers at every skill level. REI has consistently grown to become one of the leading brands for outdoor sports and gear. REI knows its customers well and has compiled the REI Expert Advice blog to serve their need for helpful, thought-provoking content. With informative articles ranging to 3,000 words in 11 verticals, it is a true resource. Its video content reinforces the value and provides a different way to learn. Known for its men’s clothing, shoes, and accessories, Mr. Porter has created a niche for itself by adopting the styling and sensibilities of a high-end men’s magazine for Mr. Porter’s Journal. This is a brilliant example of B2C thought leadership content: The topics may not be the most mind-bending, but the sophisticated presentation is aspirational for the site’s readers. IBM’s THINK Marketing platform is built on one of the most visible emblems of its thought leadership credentials: The AI “supercomputer” Watson. Watson analyzes individual Web users in real-time on a level that most digital marketers can only dream of. Then, it renders an ultra-personalized experience where customization itself demonstrates the company’s excellence. With more than 200 brands in its portfolio, J&J has a harder challenge than most when it comes to making sense of its story and getting people excited about its capabilities. Its written content does a tremendous job crafting targeted messages for consumers and potential business partners alike. You can find everything from winter beauty hacks to in-depth pieces on its latest breakthroughs and innovations. 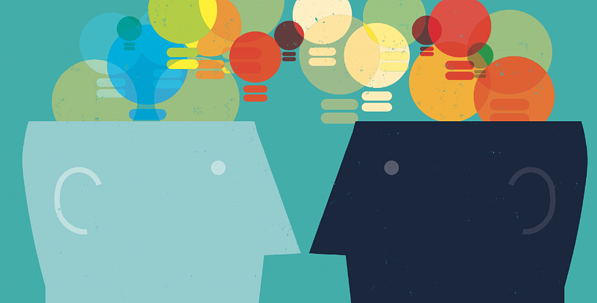 Across the spectrum of B2B and B2C enterprises, thought leadership can take many forms. The content itself should be top notch – but the medium and stylistic choices in the presentation are also important. There are so many content formats to choose from, including whitepapers, ebooks, and podcasts. When these factors coalesce around a compelling message that is truly fresh, brands have the chance to make a lasting mark on how others think. Use these terrific examples to spark inspiration for your own thought leadership campaign! Wanna Create Your Own Thought Leadership Content? 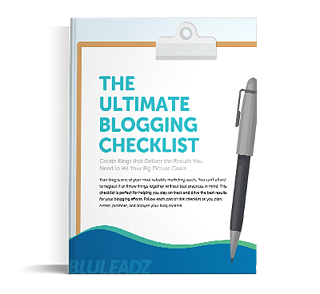 Get a Head Start by Grabbing Your Copy of Our Ultimate Blogging Checklist!